My new favorite cleanser isn't really a cleanser. 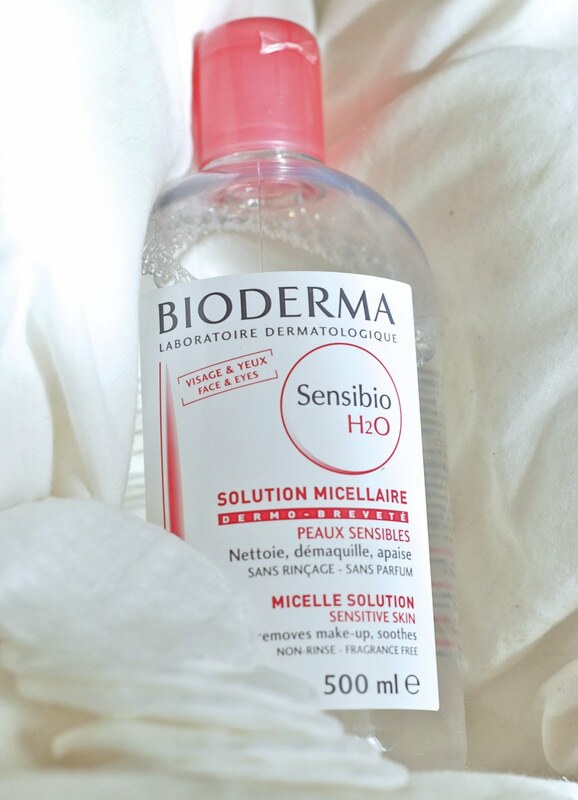 A micellar solution consists of a dispersion of micelles in a solvent (most usually water). Micelles consist of aggregated amphiphiles, and in a micellar solution these are in equilibrium with free, unaggregated amphiphiles. Micellar solutions form when the concentration of amphiphile exceeds the critical micellar concentration (CMC) or critical aggregation concentration - CAC, and persist until the amphiphile concentration becomes sufficiently high to form a lyotropic liquid crystal phase. Got that? Here's what you need to know: it's a makeup remover, a toner, and a water-free cleanser in one. I started using it back when I had that ear infection and the doctor made it sound like if I got a drop of water in my ear I would spontaneously combust, and washing my face became an arduous chore. I'm better now, and get my ear wet all the time with no adverse effects, but I still use this every morning and most nights too. Just pour some on a cotton pad and wipe it over your dry face and it removes all dirt and makeup effortlessly. Ok, maybe not effortlessly, sometimes it takes a few repetitions. But still, on those lazy nights when you just don't want to wash your face, or in the morning when there's not to much to take off, it's wonderful. Also, my very finicky skin is happier than ever before. I always use very simple and gentle cleansers (like this one or this one), but sometimes even those would leave my skin dry and tight. That is a thing of the past. And if the idea of not using water to wash and rinse your face freaks you out, you will still love this stuff as an eye makeup remover. It is magical I tell you, magical! Hey, I just bought it yesterday !! The girl told me it's very good !! Will try it today !! Hmm I've never heard of that but I'm gonna have to check it out! I also found this via your Garance comment. I've been using this for a month or so now and I love it! I can't believe how well it works. All my make up off (including waterproof mascara) in one go with no stinging, drying, tightness or chemical smell. I've been using it as a make up remover before using my Clarisonic, but now I think I'm going to stop manually washing my face in the morning and just use Bioderma instead. This is one of my favorite products. Oh, I have that one. It is awesome, especially for sensitive skin! I have the green one.